The Journal of African Trade is the official journal of the African Export-Import Bank (Afreximbank). Publishing services are provided by Atlantis Press on behalf of Afreximbank which owns the copyright to the journal. Peer review is under the responsibility of Afreximbank. 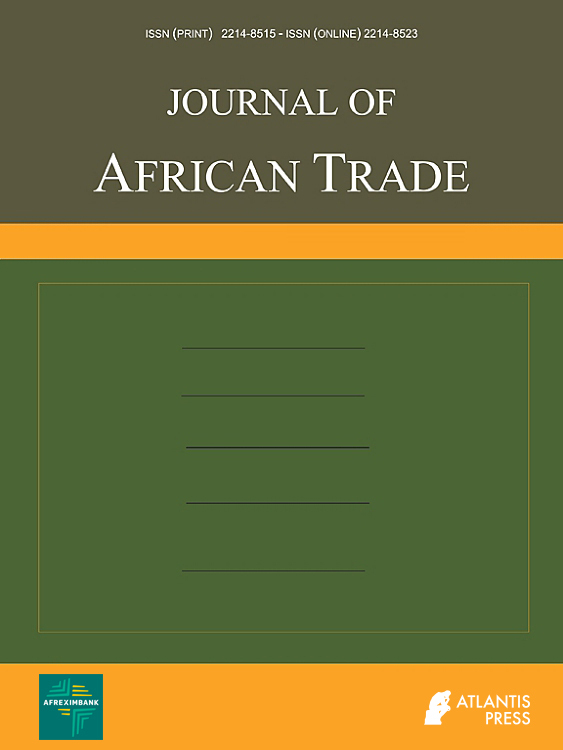 The Journal of African Trade is an open access journal, i.e. all articles are immediately and permanently free to read, download, copy & distribute. The journal is published under the CC BY-NC 4.0 user license which defines the permitted 3rd-party reuse of its articles. Authors are not required to pay any open access publication fees as these are subsidized by Afreximbank.